2008-07-29 We have received the new equipment for laptop mainboards pre-heating, chipset resoldering/rework set, with necessary masks and holders. These are very common type of notebook failures, clients very commonly bring laptops with this malfunction. The equipment allows semi automatically, using less hand work, to do for repair necessary operations. Notebook/laptop service from now is done significantly faster, and with much more quality. Some time ago, there were some cases, when chipsets were not correctly resoldered. Now using the new equipment chipsets are reworked very good. Basically, now Matrix UAB is doing service for all types electronic equipment: video cards, dekstop mainboards, sound cards, wireless networks devices, etc. 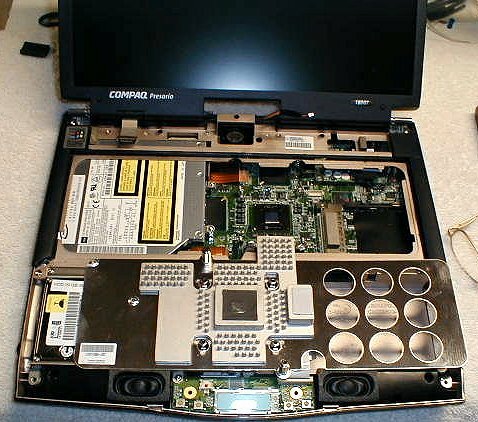 In our own state of the art laboratory and service center, we repair, fix and upgrade all types of notebooks, laptops, which are not under warranty. We have a huge inventory of spare parts, and quite well trained technical engineers, so repair process takes usually only 1-2 days after reception of a failed or not working laptop. - we buy for parts any types of laptops, working or not, with broken screens, not starting or if repair price is too high, compared with market price of the same type of laptop. In this case we help to choose with discount a new model.